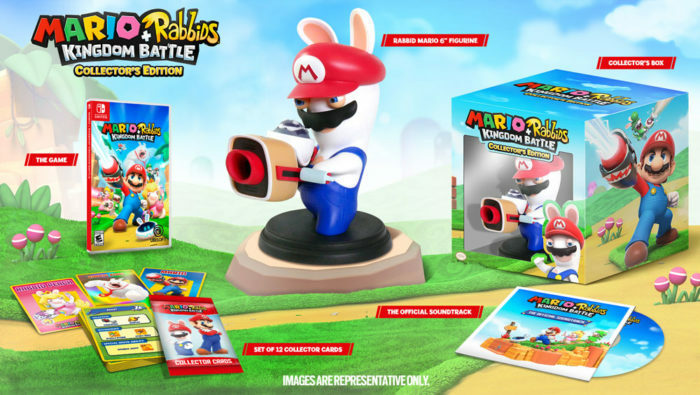 Ubisoft has announced that their upcoming crossover title, Mario + Rabbids: Kingdom Battle, will be receiving its very own collector’s edition. The Mario + Rabbids universes collide in this new adventure that combines the best of these two worlds! Get the ultimate Mario and Rabbids experience with the Mario + Rabbids® Kingdom Battle Collector’s Edition! Ubisoft officially announced the game at their E3 press conference where viewers got a new announcement trailer and a look at how the game plays. Read more about the game here. Mario + Rabbids: Kingdom Battle is set to release for the Nintendo Switch on August 29.